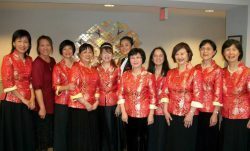 The Chinese American Music Ensemble will perform on December 14th at 5:30 pm at The Mills at Jersey Gardens Mall as part of the “Caroling in the Gardens” Event running from December 10-14. ELIZABETH, NJ – The Union County Board of Chosen Freeholders is pleased to announce “Caroling in the Gardens”, a week long caroling event celebrating the Holiday Season. This event will take place Dec 10th– 14th at 5:30 p.m. in The Mills at Jersey Gardens in Elizabeth, New Jersey. “Caroling in the Gardens” features vocal performances in the Center Court of the Mall Monday, December 10th and Wednesday, December 12th. Groups will be caroling throughout the mall on Tuesday, December 11th, Thursday, December 13th and Friday, December 14th. This event is coordinated by the Office of Cultural and Heritage Affairs in the Union County Department of Parks & Recreation, and made possible in part by the New Jersey State Council on the Arts/Department of State, a partner agency of the National Endowment for the Arts. The Mills at Jersey Gardens will host Caroling in the Gardens in its Center Court, and throughout the mall. “We are excited to debut Caroling in the Gardens, and event that is sure to bring the magic of the holidays to life!” said Crystal Fresco, Marketing Director for The Mills at Jersey Gardens. “Our shoppers come from all over the tri-state area and beyond; it is an honor to help spread holiday cheer during this joyous season,” Ms. Fresco added. The Mills at Jersey Gardens is located on Kapkowski Road at Exit 13A of the New Jersey Turnpike and features 200 stores all under one roof. For more information about “Caroling in the Gardens,” contact the Union County Office of Cultural and Heritage Affairs at 633 Pearl Street, Elizabeth, NJ 07202. Telephone (908) 558-2550. New Jersey Relay Users dial 711. e-mail culturalinfo@ucnj.org.